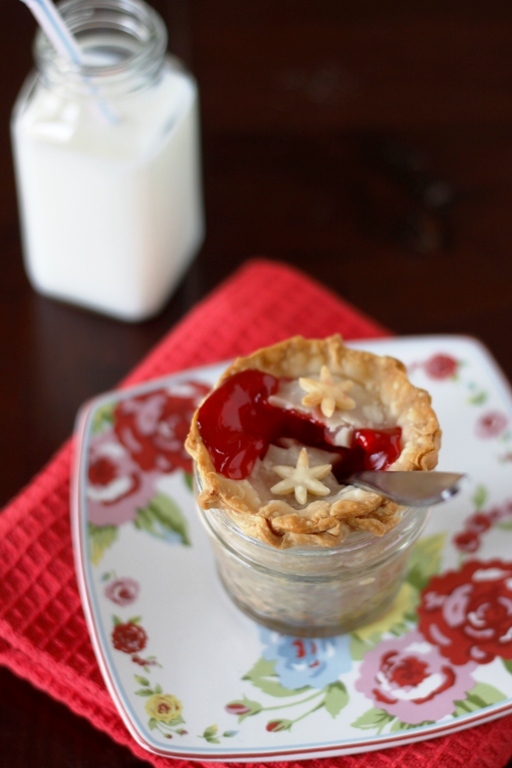 Bella Limento's Cherry Pie in a Jar from The Family Kitchen - adorable, single-serving and easy as, well, pie! Cherry Pie, seen above, is the perfect example of taking a standard all-American recipe and making it unconventional, totally convenient and unbelievably delicious! How about a Peach Cobbler or Apple Pie as well? For a beautiful brunch presentation, try Jenn Yu's Blackberry Curd Cheesecakes. Feeling dark? Chocolate Guiness Cake with Whiskey Caramel and (gluten free!) Flourless Whiskey Chocolate Cakes. What pairs better than chocolate and cinnamon? Chocolate, cinnamon and a JAR: Chocolate Cinnamon Cake. Looking for something savory? Try these Whole Wheat Buttermilk Dinner Rolls! Photos from fletcherjcm and Bella Limento at The Family Kitchen, all rights reserved.